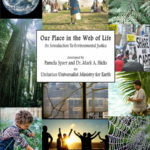 This 5-workshop curriculum for Unitarian Universalist congregations invites participants to engage deeply with the framework of environmental justice by exploring your congregation’s racial, economic, and environmental impact and creating an action plan for deepening the congregation’s accountability. Fill out this form to receive an email with a link to download the curriculum. Would you like to get updates from UUMFE? This curriculum is made available for a suggested donation of $100 for large congregations and $50 for small congregations. After you click "Submit" you'll have an opportunity to make a donation. Thank you in advance for helping UUMFE continue to support congregations in this work.